Almost 90 reports of damaging storms were recorded over the weekend from Texas to Illinois, including a tornado near St. Louis and golf ball-sized hail that covered the ground near the Dallas-Fort Worth metro area. 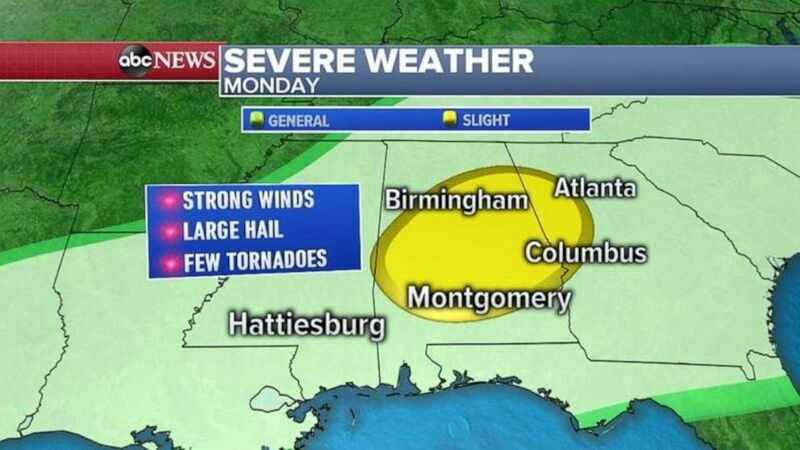 That storm system is heading east today and expected to deliver more severe weather to the Deep South and Southeast. Hail, damaging winds and isolated tornadoes remain the biggest threats. Severe weather is heading for the Southeast today. 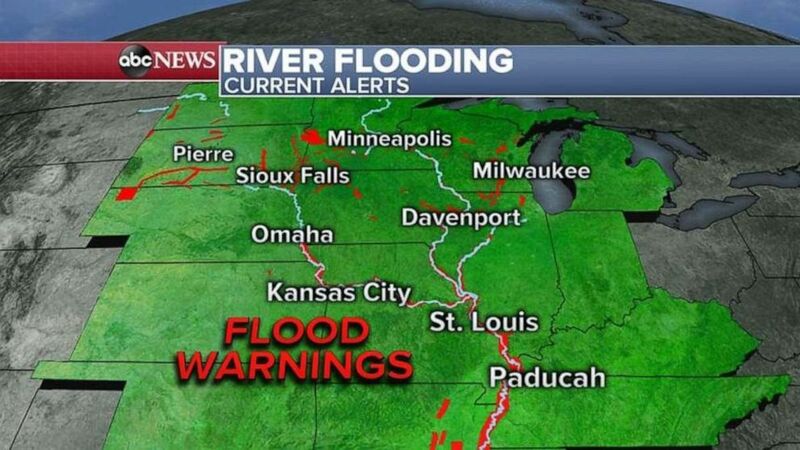 Flood warnings remain in effect today for much of the Midwest.